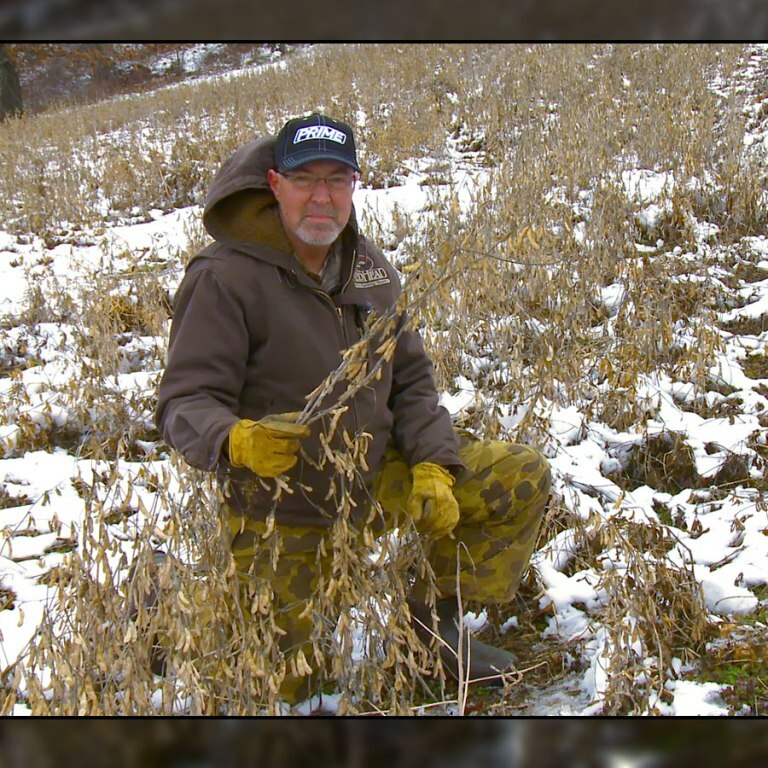 Late Winter Food Plots For Bigger Antlers this Spring! I’m receiving lots of questions on Facebook about how, when, and what to plant in food plots this spring. Warm season food plots are a very important deer management tool unless there are lots of production soybeans grown on or next to your hunting property! The bean pods produced by these Eagle Seed forage soybeans are providing quality food for the local deer herd. However, deer are currently storing minerals and preparing for antler development! Throughout most of the whitetails range it’s still too cold to plant for spring food plots to be productive. Food that was produced during the last growing season such as commercial ag fields, etc., were likely harvested months ago. So deer in ag production areas often don’t get enough to eat during the time from when the soybeans and corn are harvested until the next crop is planted and germinated. The trend is true in timber or non ag production areas. Deer in these areas often rely on food that was produced during the past growing season by native vegetation or food plots. Deer certainly survive in these areas with limited food available. However, I want deer to thrive and express most of their antler and fawn production potential – not just survive. This doe and young buck are seeking trace minerals during the late winter. It’s important to keep a source of quality trace minerals out year round. That’s one reason I plant forage soybeans and keep Trophy Rocks out this time of year. Eagle Seed forage soybeans produce tons of forage that is high in protein during the growing season and produce grain that deer consume during the winter (non growing season). Soybean grain is high in oil (fat) content as well as protein. This provides an excellent food source throughout the winter. 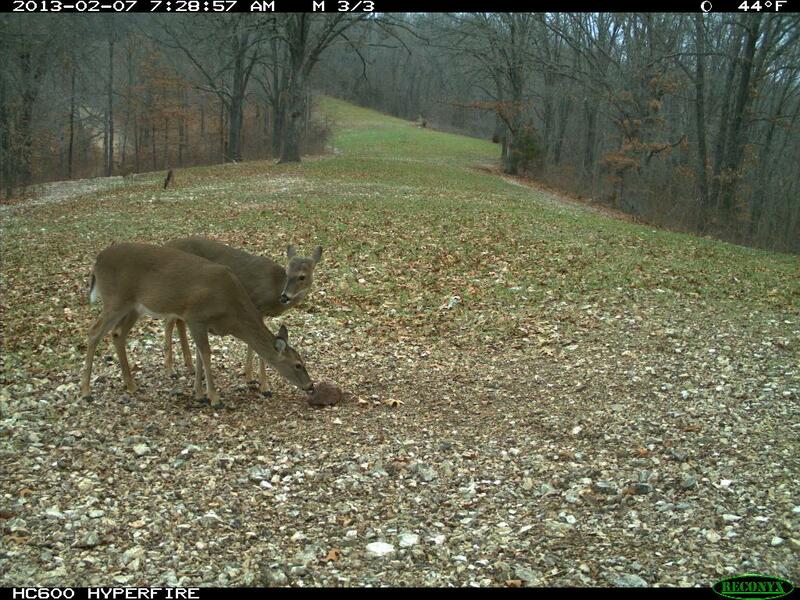 Trophy Rocks include 60+ trace minerals – and trace minerals are necessary for deer to express their full potential. Whether you hunt in ag production or timber country – consider what deer are eating from now until when the warm season crops germinate. This is a critical time for antler and fawn development!